JUPITER, Fla. - Brooks Koepka from Lake Worth, FL, has secured his spot on the 2016 American Ryder Cup team. The Ryder Cup will take place September 27 - October 2 at Hazeltine National Golf Club in Chaska, Minn.
Koepka faced a predicament recently being on the edge of making or not making the team while being sidelined with an ankle injury. He made the gutsy decision to fight through the pain at the PGA Championship and after finishing T4 at the PGA Championship and T9 the next week at the Travelers Championship, he locked up his spot on the 2016 American Ryder Cup Team. 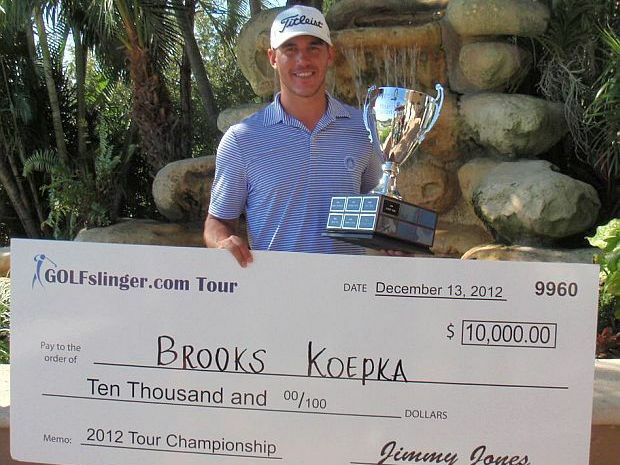 Brooks has won 4 times on the Minor League Golf Tour including the 2012 Minor League Golf Tour Championship. Congratulations Brooks and good luck at the Ryder Cup!